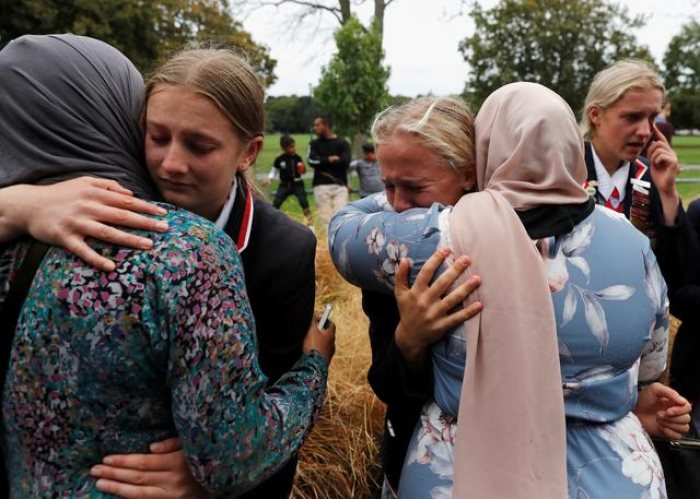 The owner of a New Zealand gun store said on Monday the man charged with murder in Christchurch’s mass shooting had bought firearms and ammunition online from the store, but it did not sell him the high-powered weapon used in the mosque shootings, Reuters reports. Ardern was the first signatory of a national condolence book for the country’s worst mass killing that she opened in the capital Wellington on Monday. “We’ve been working fairly hard through the night to ensure the process of returning the deceased to their loved ones is taking place expediently,” he said. “But some people have said because it was not a battlefield it is okay to wash the body. But it is at the discretion of the family,” said Mo. He asked to be identified by just one name. The two mosques involved in the shootings have been closed since the massacre, but are expected to reopen by Friday prayers after cleansing blessings were carried out, said Haumaha. “This morning we conducted two important blessings at the Deans Avenue mosques and the Linwood mosque,” he said.